Clarity Challenge Blog: Clarity have done it again!!!! You may have already seen the announcement on Barbara Grays blog, but we thought we'd dedicate this post to Clarity and Barbara and celebrate the news in true crafting style. Please join me in congratulating everyone that's involved in the whole process. For the full story from the lady herself please pop over to her blog. 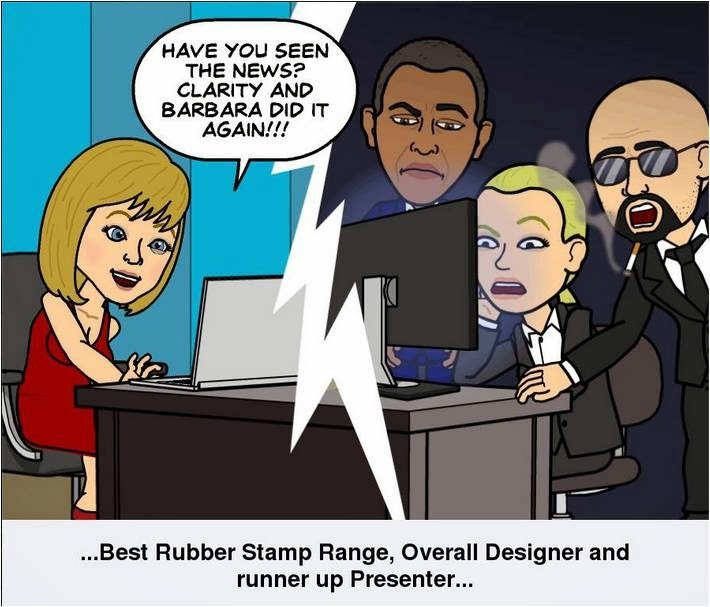 Congratulations Barbara and team.... sazzle do tell us who is who on the cartoon!